The Colossus of Rhodes was one of the greatest Wonders of the Ancient World, as well as an enduring symbol of the power and might of the Ancient Greeks. The Wonder itself was a 108-feet high statue of the Greek God of the sun, Helios. It stood erect in Rhodes harbor to celebrate the Greek victory over Cyprus in 305 BC. The statue stood at a height similar to the Statue of Liberty and was the largest statue in the ancient world. Unfortunately, you cannot see the statue today because it was destroyed in 226 BC. The great earthquake that occurred that year destroyed the statue, and it has never been rebuilt since. 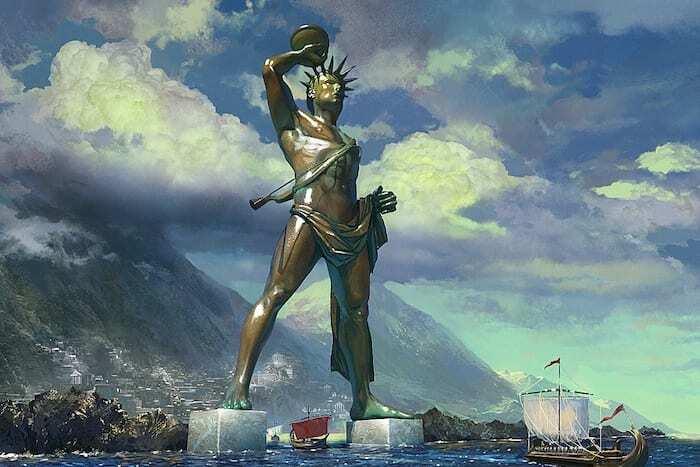 There have been plans recently to build a new Colossus in Rhodes harbor, though, whether this will happen remains to be seen. These are some epic facts you never knew about this stunning old world beauty. As we know these days, in the Ancient World they took their time with things. It didn’t matter if they were building palaces, pyramids, or statues, it was always a methodical and calculated process. The Colossus of Rhodes was no different, and sources tell us that it took sculptor Chares of Lindos 12 years to build. That is a lot of time and dedication on just one project, but that’s why things lasted back then! And don’t forget, they didn’t have a lot of the building technology that we have today. The statue stood for 56 years before it was brought down by the aforementioned earthquake. 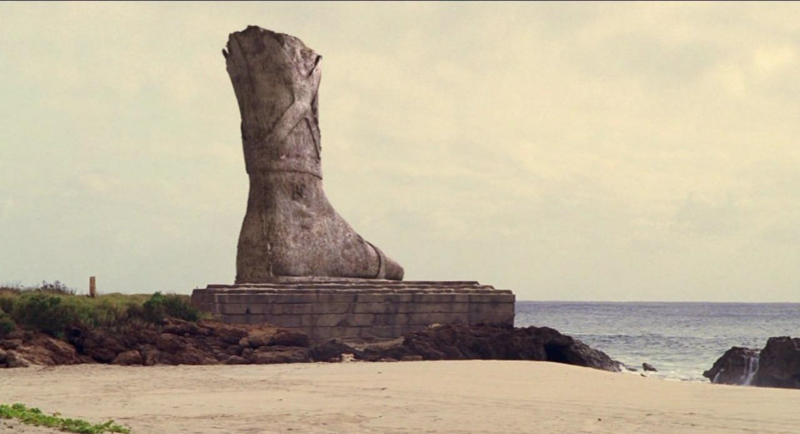 After it fell, the Colossus statue remained on the ground, in the sample place, for around 800 years! Now, it’s unclear why this is, but we suggest that perhaps the Ancient Greeks attached some kind of cultural or religious significance to it. As such, they saw it as sacred and left it on the ground where it lay. Some have said that the Greeks saw it as a sign that Helios was angered by it, and caused the earthquake to destroy it, so they dare not replace it. The statue remained here until invaders came and robbed it of its bronze, selling it off, allegedly to Jewish merchants. Legend has it that the merchants needed 900 camels to carry the bronze away with them! As we previously mentioned, there has been talk of building a new Colossus. In December of 2015, a group of European architects unveiled their plans to build a new Colossus of Rhodes at the entrance to Rhodes Harbor. The idea is that the statue will stand astride two piers at the harbor entrance. There is a debate about whether the original statue ever occupied this position, but this seems to be what is favored for the new design. It is projected to cost $283 million, as well as having a library, culture center, and lighthouse. We hope this project becomes a reality, as it would be an epic place to visit! The Colossus of Rhodes was one of the most opulent and grand constructs in the ancient world. And it’s a shame that the Greeks’ superstitions prevented them from rebuilding it again after its destruction. We could well see a new one built in the next few years, but it’s unlikely it will ever have that same epic scale or grandeur of the original.